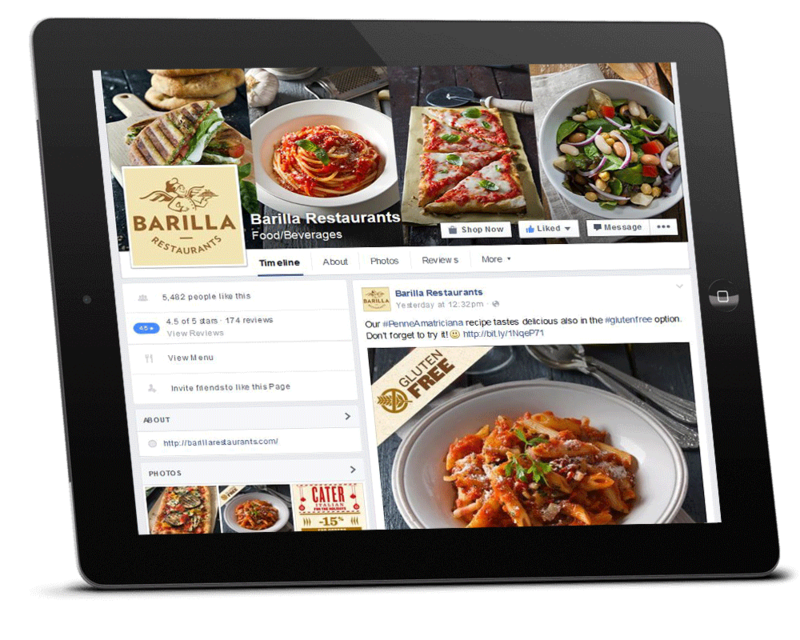 Client: Barilla Restaurants – restaurants launched in the US in 2013. I led design, roll out and monitoring of the social media strategy on Facebook, Twitter, Google+, Foursquare, Pinterest, Instagram and promoted/managed reviews on Yelp and TripAdvisor. The project improved brand awareness, drove people to visit the website and the restaurant. I was involved on this project by The AdStore.